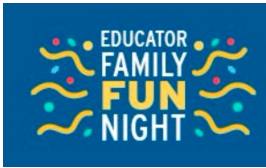 Description: Teachers, this is a night just for you and your family to come explore the Museum — for free — see a film, and visit our newest traveling exhibition, Journey to Space. Registration is required & must have proof of current teaching status – register here! DON'T MISS OUT ON THESE UPCOMING PROFESSIONAL LEARNING OPPORTUNITIES! Don't Want To Miss Class? Join Us After School! Recharge events are focused on your choice, your learning, and your experience. 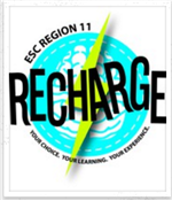 Join us for one full day of energizing conference-style professional development in which you get to choose which sessions to attend. Keynote Speaker: Dr. Tyrone Howard, Author of "Why Race and Culture Matters in Schools" will speak from 8:45 - 9:15 a.m. Breakfast will be served from 8:30 - 8:45 a.m.
During this half-day session, current issues concerning the curriculum and assessment of mathematics and science will be discussed. 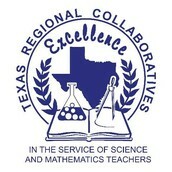 Math and science coordinators, specialists, and campus leaders will have the opportunity to network with each other and will receive the most current information from TEA. Join us on November 2, 2017 from 9:00 a.m. -12:00 p.m. Register now! 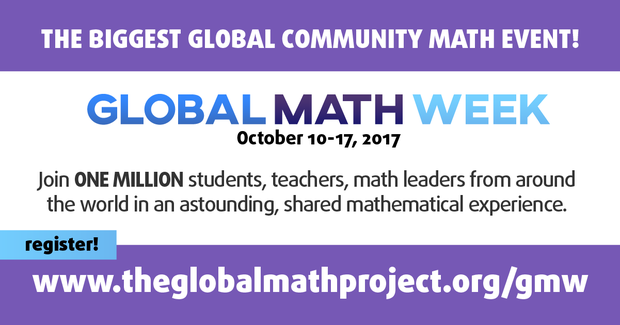 Looking for a place to find tasks/problems that build number sense, conceptual understanding, and promote mathematical discourse? Let us (re)introduce you to the HOTSpots livebinder! Participants will be immersed in blended learning while learning what exactly blended learning is, how it is different from technology integration and how to implement blended learning in their own classroom. Register today! 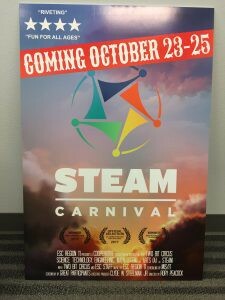 With tickets for the 2017 STEAM Carnival October 23-25, 2017 being sold out in less than 24 hours, there is only one way to guarantee attendance for your students. Lucky for you there are a few spots still available for the Student Showcase! So what is this Student Showcase? Glad you asked! The Student Showcase is one of the most impressive pieces of the STEAM Carnival. Students from around the region showcase their existing work, projects or inventions based on anything related to STEAM. We have seen catapults, battle robots, Legos, homemade games, the 5 time reigning National Champion solar car, a TV studio, timed challenges and even plants being grown without soil, harvested and eaten right here in the building! WOW!! Another terrific question! You can submit your proposal online right now by visiting the link below. It is fairly quick and easy! Check out the website for more information and FAQs about the event! The 2018 Lone Star Leadership Academy is accepting nominations for outstanding 4th-8th graders for the summer academy. Participants travel to the Dallas/Fort Worth, Austin/San Antonio, or Houston/Galveston area to join delegations of other distinguished students from across Texas for a week of fun, learning, leadership development, and visits to significant Texas destinations. Each day, participants explore notable Texas sites, learn about unique careers from professionals, and work in small groups to develop specific leadership skills. In addition to improving their leadership abilities, participants gain self-confidence and independence and develop new friendships with other high-achieving students from across the state. Nominees must be in 4th-8th grade, maintain an 85 or higher average, demonstrate leadership ability, and be involved in school/community activities. 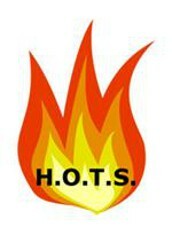 Teachers can nominate a student at http://educationinaction.org/nominate-leaders. The nomination deadline is Friday, November 3, 2017. 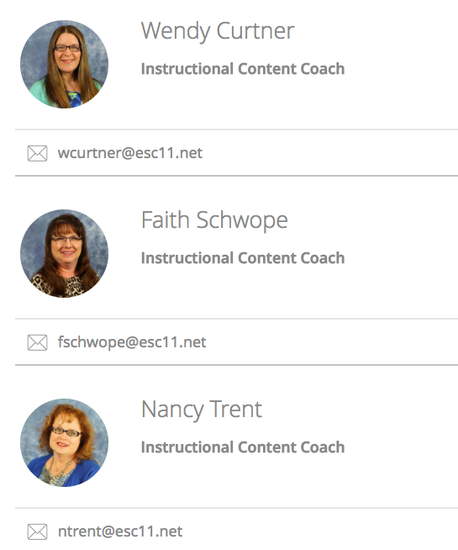 The WeTeach_CS Foundations of Computer Science for Teachers online fall session is now open. This self-paced course is designed to prepare teachers to take the TExES 141 or 241 Grades 8-12 Computer Science certification exam. Course materials provide extensive detailed instruction, examples, and practice on everything from introductory programming topics such as variables, functions, loops, and logical expressions to more advanced topics such as data structures, recursion, and object oriented programming. Basic enrollment is free. Participants who would like to receive 40 CPE credit hours from The University of Texas at Austin upon completing the course can upgrade their enrollment. Upgraded participants will also have access to weekly quizzes and the comprehensive final, which mimics the actual 100 question CS certification exam. Designated Supports Requiring TEA Approval: These supports require the submission and approval of a TEA Accommodation Request Form. State of Texas Assessments of Academic Readiness (STAAR®) Calculator Policy Calculators are required for the following STAAR assessments: grade 8 mathematics, grade 8 science, Algebra I, Algebra II, and biology. 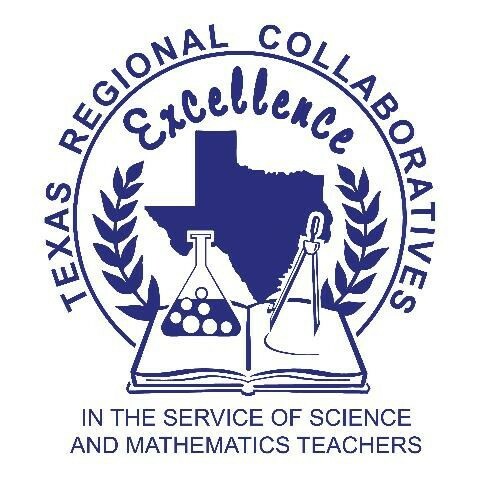 Calculators are not permitted for students taking the STAAR grades 3–7 mathematics assessments or the STAAR grade 5 science assessment unless the student meets the eligibility criteria for an accommodation. Information regarding calculators as an accommodation for students with disabilities can be found on the accommodations webpage. Districts must ensure that each student has a graphing calculator to use when taking the STAAR grade 8 mathematics, Algebra I, or Algebra II assessments. Students must have a graphing calculator to use throughout the entire test (both paper and online versions). Districts may satisfy this requirement by providing students with either of the following two types of calculating devices— a handheld graphing calculator or a graphing calculator application. Districts must ensure that students have access to a calculator with four-function, scientific, or graphing capability when taking the STAAR grade 8 science or biology assessments. There should be at least one calculator for every five students taking the assessments (both paper and online versions). If calculators are shared during the test, the calculator memory must be cleared after each student uses it. Districts may satisfy this requirement by providing students with either of the following two types of calculating devices—a handheld calculator or a calculator application. The district may provide calculating devices, or students may bring them from home. Students should be provided the same type of calculation device they use routinely in class work. Providing an unfamiliar calculation device on the day of the state assessment may hinder rather than aid the student. Students may have more than one calculation device during the assessment. For handheld calculators, all memory must be cleared to factory default both before and after testing. Any programs or applications that are not preinstalled by default must be removed or disabled prior to testing. For specific assistance in appropriately preparing calculators for use during testing, contact the calculator manufacturer. For calculator applications, all Internet capabilities must be disabled on the device. In addition, the calculator application being used must be locked down (in kiosk mode) to prevent the use of other applications during testing. Districts should be aware that some calculator applications include resources that could aid students during testing. Students must be monitored closely to ensure that these resources are not accessed during the test. Calculation devices that have a computer algebra system (CAS) are not allowed. Calculation applications on smartphones are also not allowed. What is Number Sense and Why It’s So Essential? 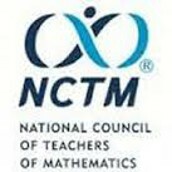 Looking for new evidence, articles, videos, or websites to support your teaching/training related to numeracy? 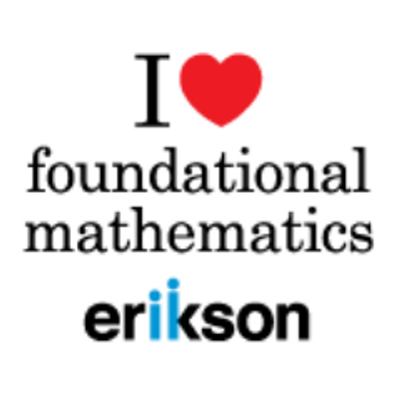 Check out the free annotated collection of math resources that is posted on the Faculty Finds website. Or visit the Early Math Collaborative Idea Library where you can search for resources based on grade level or math concept. Imagine how students could use these ideas to create learning centers or design large and small group activities. Students visit five stations to review the meanings for subtraction. In so doing, they will be practicing comparative subtraction in a variety of formats. Students use a software simulation of one runner along a track. This activity helps students understand, describe, and compare situations involving constant rate of change. This interactive game called Paper Pool gives students an opportunity to further develop their understanding of ratio, proportion, and least common multiple. Students identify an outlier within a set of real-life data. Using the Illuminations Line of Best Fit Interactive, students plot sets of data. Within each set of data is an outlier that students can detect by visual inspection or by correlation comparison. 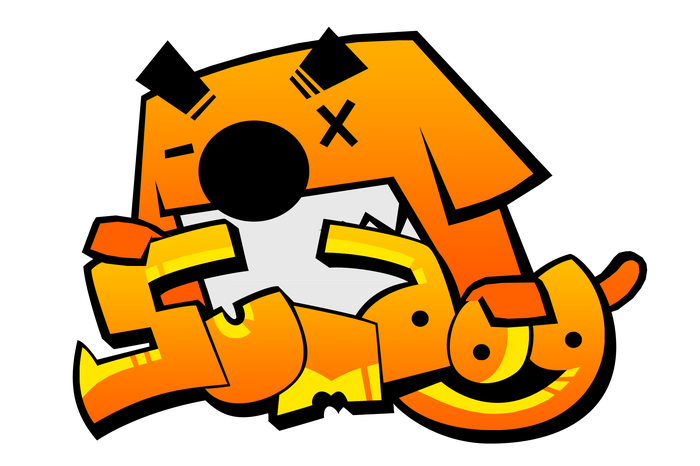 Sumdog's Math Contests start on October 6th, ending the following Thursday. The contests are suitable for all students in grades k-8, as they adapt to each individual's level. Students can play online either at school or at home using the website or the app. 1st, 2nd and 3rd place win a subcription to Sumdog's premium learning and teaching tools. Visit www.sumdog.com/contests to enter and give your class the chance to win! 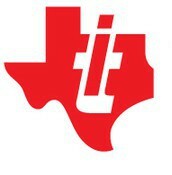 Attend free Teachers Teaching with Technology™ (T³™) webinars this fall and learn new ways to use Texas Instruments (TI) technology to engage your students. Join the live sessions on Tuesday evenings to ask questions and share ideas with presenters and attendees. Can’t attend on a Tuesday? That’s okay. All webinars will be recorded and available on-demand, and we will share the link with registrants following each session. A Certificate of Attendance will be provided at the end of each webinar. Are you ready to bring your curriculum to life? Our Industry Chats help you do just that, bringing professionals from diverse fields into your classroom, virtually, to talk to students about the real-world applications of what they're learning. Coming up: live, virtual Chats with astronomers, writers, scientists, and more! Search the video library for recorded sessions that may provide some inspiration for your next classroom activity. To help provide each and every one of your students with a high-quality and engaging mathematics education, we have compiled a collection of classroom resources, helpful blog posts, and motivational videos. Explore these resources to get ready for a successful year. 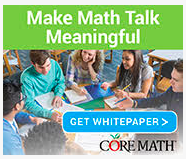 Read the Math Discourse whitepaper for strategies on engaging in meaningful discourse in math classrooms. 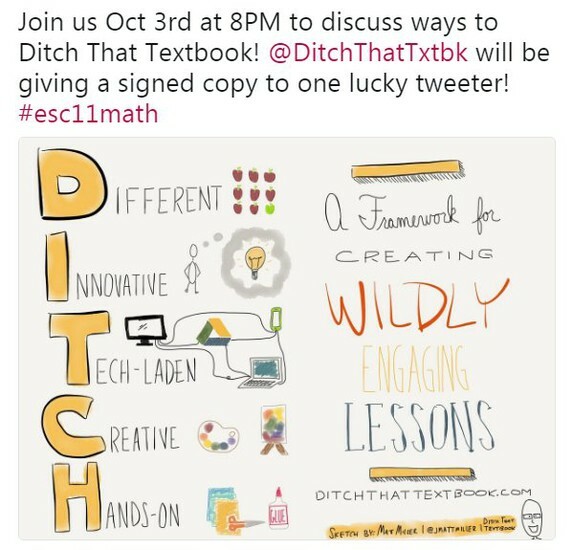 Learn about professional learning that helps teachers become more expert in facilitating discourse, so students become more expert in math. My thoughts and prayers are with the people of Texas and everyone who has been affected by hurricane Harvey. As a native Houstonian and former Texas school teacher, I am humbled by the efforts you are making to continue to care for schoolchildren and their families, especially those whose circumstances have changed dramatically with this event. We at ORIGO Education want to know how we can help you in your important work during this difficult recovery period. For example, if you use the ORIGO Stepping Stones elementary math program and have lost student books in the flood, we will work with you to replace them for free this year. Similarly, if you need extra books for children who are refugees due to the storm, we will do our best to provide them. And if you haven’t used ORIGO materials in the past but need a core K-6 math program to get you through the school year, we will give you a subscription to our online Texas Stepping Stones materials for free. We have worked very hard on the program and know it will serve you well. It would be our privilege to contribute to the recovery even in some small way. Please reach out and let us know how we can help, and forward this message to your fellow Texas educators. meaningful, enjoyable, and accessible for all students.